BNY Mellon Investment Management is one of the world’s leading investment management organizations and one of the top U.S. wealth managers. Our business encompasses BNY Mellon’s affiliated investment management firms, wealth management services, and global distribution companies. At BNY Mellon, having 230 years of experience has taught us a profound lesson about investing: Progress begins with a forward-thinking idea. BNY Mellon Investment Management operates under a distinctive model designed specifically to stimulate, assess and share forward-thinking ideas with our clients around the world. Why? We believe that diversification goes deeper than the selection of funds in your portfolio. Because if your investment strategies all come from the same mega-manager firm, they are at risk of being shaped in a big investment strategy meeting where insights and ideas could surrender to groupthink, and portfolios may be created with an undiversified view. There is a better way. At BNY Mellon Investment Management, we believe in specialist investment boutiques where enlightened thinking flourishes. Each of our investment boutiques has deep expertise in specific areas of the fixed income, equities and alternatives spectrum. Each boutique follows its own independent investment approach, thus avoiding the dangers of blind consensus. So your portfolio can benefit from multiple perspectives and a higher level of diversification. We stand ready to share our insights and expertise with you. Started by Alexander Hamilton in 1784, BNY Mellon is one of the longest-lasting financial institutions in the world. We have endured, been innovative and gone on to prosper through every economic event and market move over the past 230 years. BNY Mellon Investment Management is one of the world’s leading investment management organizations and one of the top U.S. wealth managers. 1Source: BNY Mellon. Data as of December 31, 2018. 2Willis Towers Watson, October 30, 2018. Based on discretionary assets under management at the end of 2017; does not include saving/current accounts or assets unrelated to investment business, money market funds, advisory portfolios, or transactional assets. Analysis based on data supplied to by third parties in U.S. dollars. 3Pensions & Investments, May 2018. Rankings based on a survey of more than 580 investment management firms that providing information in response to an online survey. In order to qualify for inclusion the firm must manage assets for US institutional tax-exempt clients. Ranked by total worldwide institutional assets under management as of 12/31/2017. Unless otherwise noted, all references to assets under management (which are approximate) are as of September 30, 2018. Assets under management (AUM)/overlay under management (OUM) for Mellon Investments Corporation (Mellon) includes assets managed by those individual firms’ officers as associated persons, dual officers or employees of The Dreyfus Corporation. In addition, AUM/OUM for the following firms includes assets managed by the individual firms’ officers as dual officers or employees of, The Bank of New York Mellon: The Dreyfus Corporation and its Dreyfus Cash Investment Strategies division, Newton Investment Management (North America) Limited and Mellon. The Alcentra Group refers to the affiliated companies Alcentra, Ltd and Alcentra NY, LLC. AUM includes assets managed by both companies. Assets under management reflect assets of all accounts and portions of accounts managed by Alcentra for Alcentra and its affiliates. Specifically, certain assets under management reflect assets managed by Alcentra personnel as employees of Mellon, The Bank of New York Mellon and The Dreyfus Corporation under dual employee arrangement. BNY Mellon is not a guarantor of any investment managed by Alcentra. ARX is the brand used to describe the Brazilian investment capabilities of ARX Investimentos Ltda. ARX is an affiliate of The Bank of New York Mellon Corporation. BNY Investment Strategy and Solutions Group (ISSG) personnel may offer products and services in their capacity as employees and officers of The Bank of New York Mellon (“Bank”), including investment strategies that are developed by affiliated BNY Mellon investment advisory firms and managed by officers of such firms acting in their capacities as dual officers of the Bank. BNY Mellon Fiduciary Solutions personnel may offer products and services in their capacity as employees and officers of The Bank of New York Mellon (“Bank”), including investment strategies that are developed by affiliated BNY Mellon investment advisory firms and managed by officers of such firms acting in their capacities as dual officers of the Bank. Newton and/or the Newton Investment Management brand refers to the following group of affiliated companies: Newton Investment Management Limited, Newton Investment Management (North America) Limited (NIMNA Ltd) and Newton Investment Management (North America) LLC (NIMNA LLC). NIMNA LLC personnel are supervised persons of NIMNA Ltd and NIMNA LLC does not provide investment advice, all of which is conducted by NIMNA Ltd. NIMNA LLC and NIMNA Ltd are the only Newton companies to offer services in the U.S. In the UK, NIMNA Ltd is authorized and regulated by the Financial Conduct Authority in the conduct of investment business and is a wholly owned subsidiary of The Bank of New York Mellon Corporation. Assets under management include assets managed by all of these companies listed above except NIMNA LLC, which provides marketing services in the U.S. for NIMNA Ltd. Except for NIMNA LLC and NIMNA Ltd, none of the other Newton companies offer services in the U.S. or Canada. In addition, AUM for Newton may include nondiscretionary assets of wrap fee account(s) for which NIMNA Ltd provides sub-advisory services to the primary manager of the wrap program. Mellon AUM includes discretionary and non-discretionary assets and assets managed by investment personnel acting as dual officers of affiliated entities. Mellon, Dreyfus and Alcentra are registered investment advisers. Dreyfus, Alcentra and The Bank of New York Mellon are wholly-owned subsidiaries of The Bank of New York Mellon Corporation. 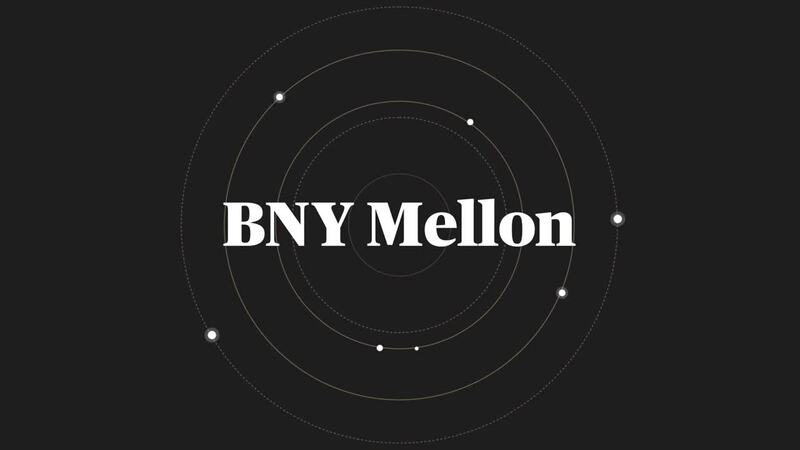 BNY Mellon owns a majority of Mellon and the remainder is owned by employees of the firm. This material has been distributed for informational purposes only and should not be considered as investment advice or a recommendation of any particular investment, strategy, investment manager or account arrangement. Information contained herein has been obtained from sources believed to be reliable, but not guaranteed. Please consult a legal, tax or investment advisor in order to determine whether an investment product or service is appropriate for a particular situation. No part of this material may be reproduced in any form, or referred to in any other publication, without express written permission. The Dreyfus Corporation and MBSC Securities Corporation are subsidiaries of BNY Mellon. ©2019 MBSC Securities Corporation, 240 Greenwich Street, 9th Fl., New York, NY 10286.